We’re kicking off a new series of blog posts that will reveiw some of our features that you might not know about. 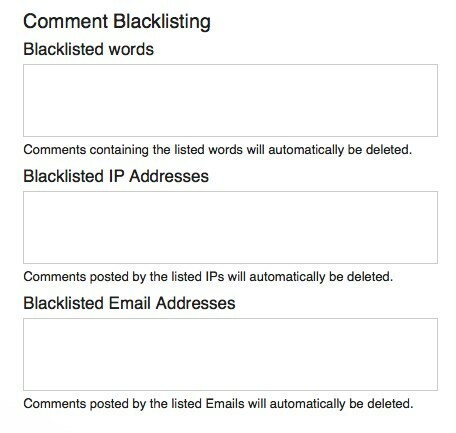 The first post in this series will review our moderation and blacklisting settings. Our moderation page is going through a redesign right now, but this will get you off the ground and familiar with our current settings. Enabling these settings is easy. Just login to your account and select the “Settings” tab. You’ll find several text boxes on the left side of the page where you can enter in all of the above info. Make sure you separate your entries with spaces only! You can access the IP addresses in your comment notification emails. Don’t forget about our Akismet integration! 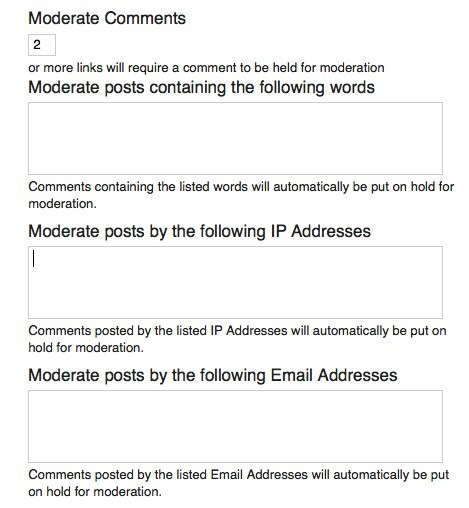 Your IntenseDebate account provides you with the option to run all comments through our cusotm Akismet integration. You can enable Akismet filtering in your Settings panel. Check out your Settings panel in your IntenseDebate account for more options! This is boring. Everybody who want's to, knows that. I'd prefer info about features to come, or the blackout a few days ago. How about an option for requiring commenters to supply an email address? WordPress has had this feature for at least a couple years. This alone would be a huge help for those of us who have folks that simply refuse to create an ID account. I agree 110%. Michael, how about including this please? is intensedebate hosed? the service is dying…. major burps in the service… many people are having the issue…? Just posted on both your blogs with no issue. Everything seems to be working like it should. Am I missing something? I know its a challenge to fix something that doesn't get repeat. But as a frequent reader of human3rror & ChurchCrunch, I have noticed that occasionally I will load access a post and the ID code doesn't load…i.e. back to basic wordpress comments. Or I will go to comment and the ID code loads but asks me to login. When I do so via OpenID, it tells me that OpenID did not supply all the neccessary credentials. When I give it my name and email, it kicks me over to the comments, but under a different identity than the one associated with my ID profile. But then other times, everything is A OK….does this help? If you want to truly stimulate the economy we should pass a bill that all government agency and military have to buy American products and deal with company's that use the most American made parts and products to get a contract from the gov. Imagine that USA government spending our taxes on American cars, pencils, door knobs, toilets, planes, jeeps, uniforms, fans, computers, etc the list is endless. Would this not create jobs, open factories and stimulate? No other countries care if they take American contracts or turn them down. There is nothing wrong with a air force base or army being 100% American made or close to it is there? I'd like it if I can look up a given commenter's IP address and email, so that I can use it to moderate his future posts. We're currently redesigning the moderation page to give you better access to this. Currently you can access this info in your new comment email notifications. I'm confused. Is this service available to posters on forums or only to blog owners? IntenseDebate is available for both blog owners and commenters. You do not need to own a blog to comment on sites using IntenseDebate. My bad, Michael. What I meant was, learning the IP addresses? Is this also going to be available to commenters? When I suspect, for example, that two or three commenters are the same person, will it be possible to obtain that information? No Jim, that's only available to blog admins. You can require your commenters to create an account in order to comment. That will provide you with that info in your email notifications when they post a new comment. We don't have the particular customization you described at the moment, but we will in the future.